FROM the Academic Staff Union of Universities (ASUU) Thursday came a declaration: No calling off of the current strike until all demands are met. Despite desperate moves being made by the Federal Government to force the Union back to work, ASUU had been insistent and resolute, unlike in the past, when it would have quickly called off the strike and ordered its members back to work. On the contrary, ASUU had, last week, announced that it was withdrawing from negotiations with the FG, despite the fact that the FG released about N130 billion for the university sector. Many had felt that the FG was not entirely sincere, but simply playing to the gallery. ASUU thereafter have continued to insist that the strike continues. At a briefing in Lagos, ASUU’s President, Dr Nasir Issa Fagge described the much advertised government’s intervention in the current impasse as full of deceit and lacking in integrity. Besides, Fagge insisted that the period of negotiation was over with the signing of the agreement between the Federal Government and the union in 2009, stressing that government should rather move towards implementing the agreement. Fagge explained that the government team, at the latest meeting between the two parties held last Monday in Abuja, spoke with a tinge of finality and declaring its unpreparedness to implement the agreed massive injection of funds to revitalise public universities. The ASUU president also expressed shock at the government’s declaration that it would not pay university academics their earned allowances which, he stated, had accumulated from 2009 to 2013 but would rather propagate the provision of N30 billion to assist various Governing Councils of Federal Universities to defray the arrears of N92 billion owed to all categories of staff in the university system. For those clamouring that ASUU should soft pedal on the negotiation, Issa-Fagge argued that they had, so far met with government 10 times since the action commenced on July 2, 2013. According to him, the meeting was highly bewildering, embarrassing and highly unacceptable. “ASUU cannot believe that the agreement, MOU and the Needs Assessment Report, undertaken and endorsed by the highest public officials in the land would be so blatantly ridiculed by the same people,” he said. Besides, he maintained that ASUU would not be corrupted. “Chaos has become the order of the day,” he averred, “and our goal is to ensure that orderliness emerges at the end of this. 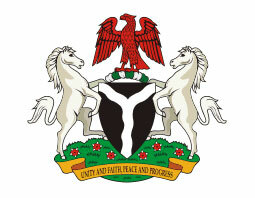 The issues involved in the current industrial dispute include: Funding requirements for revitalising the Nigerian universities; Federal Government Assistance to State Universities; Progressive increase of annual budgetary allocation to education to 26 per cent between 2009 and 2020, and Earned Allowances. Others are: Amendment of the pension/retirement age of academics on the professorial cadre from 65 to 70 years, Establishment of the Pension Fund Administrator, Governing Council; Transfer of Federal Government landed properties to universities and the setting up of research and development units by companies operating in Nigeria as well as teaching and research equipment.